SpotPass which lets the 3DS detect wireless hotspots or LAN access points where players can obtain information, game data, free software, videos, etc. StreetPass which enables users of the 3DS to exchange information from system to system within the range. Multiple game data can be shared simultaneously as well. Built-in software that includes the Nintendo 3DS Camera, Nintendo 3DS Sound, Mii Maker, StreetPass, Mii Plaza, etc. Parental Controls which can limit game content by rating, 3D functionality, or even the use of wireless connectivity. Also, according to Nintendo’s Japanese website, there is a disclaimer that states that viewing images in 3D may cause damage to the eyes, especially in children younger than six years old. With that being said, the Parental Controls should be used by parents to restrict their kids, under the age of 6, from using the 3D feature and stick to the 2D gameplay. 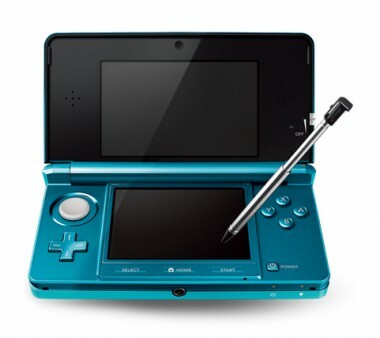 The Nintendo 3DS is set to ship on March 27, 2011 for the price of $249.99 MSRP (Manufacturer’s suggested retail price).